London's high-end Ritz hotel has not paid any corporation tax in the 17 years since it was taken over by the reclusive Barclay twins. The BBC's Panorama programme analysed the accounts of the hotel bought by the brothers in 1995. 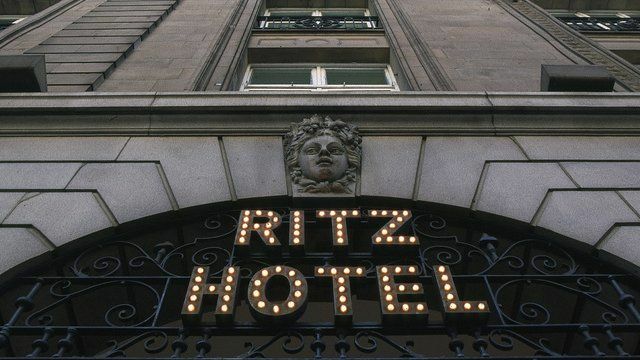 Richard Murphy, of the Tax Justice Network, told the programme: 'I've looked at the accounts of the Ritz for 17 years. This is fundamentally a profitable business before interest is paid. But they've not paid any tax at all to the UK government during that period. Not a penny." The accounts show that the profitable hotel has used a series of tax reliefs to reduce its corporation tax to zero. Panorama: The Tax Haven Twins, BBC One, Monday, 17 December at 20:30 GMT and then available in the UK via the BBC iPlayer.